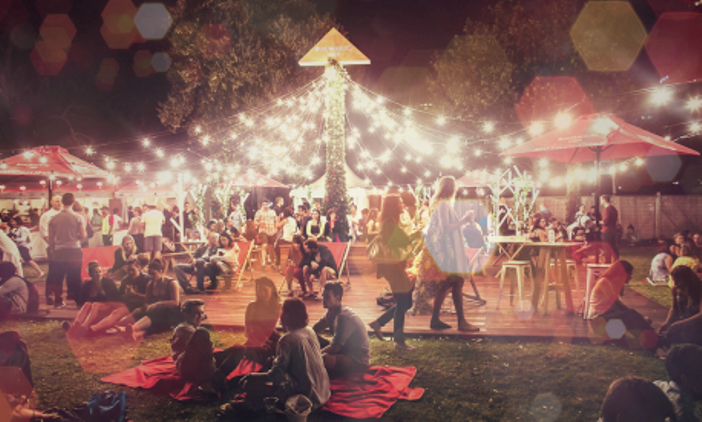 To celebrate the Spirit of Summer, Rekorderlig aimed to bring to life the Sweedish celebration of Midsummer. This involved inviting consumers to let the light of summer through and reveal their Swedish spirit. Using the light and shadows cast they created a stunning and unforgettable experiences which reflected the beauty of nature. Rekorderlig created a unique multi-sensorial experience which transported consumers to the Swedish Countryside using subtle sensory cues. Where they had the opportunity to breath in the heady scent of meadows, feel the bark chippings underfoot, taste the first strawberries of summer, discover the flavours of Rekorderlig and move to the beats from the DJ.This spectacular event concluded with the passing of light through the heart of the event where a spectrum of colour shone over the crowds. One experienced Event Manager and two Core Brand Ambassadors hand-picked for all tour dates. Three engaging and approachable Local Brand Ambassadors to support the core team. All staff fully briefed and trained ahead of the activity. Encouraged consumers to take photos in the photo booth and share their photos on social media. The team activated in four different locations nationwide and were briefed to fully immerse all guests into the beautiful Swedish celebration of Midsummer. "“You guys were really incredible! Thanks for your help too in the panic before the doors opened. The team you have provided is fantastic!""